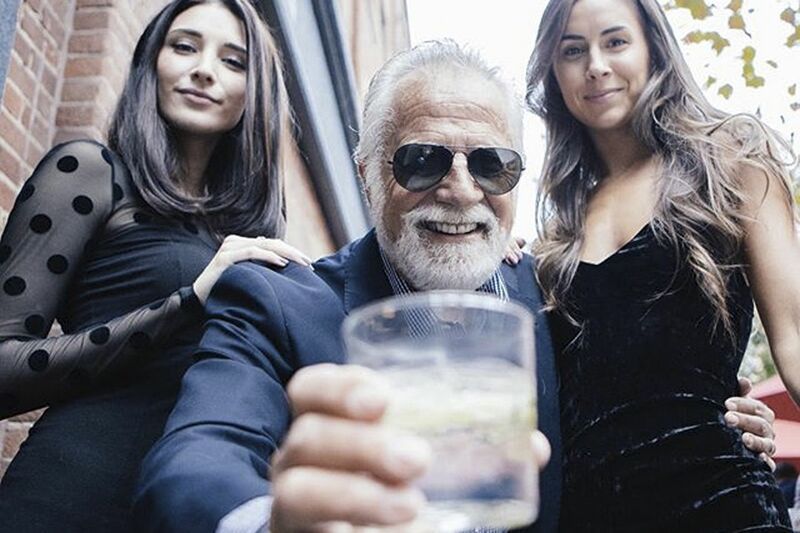 Actor Jonathan Goldsmith, Dos Equis' former 'Most Interesting Man In the World,' is heading to Media in Delaware County to sign bottles of Astral Tequila. The former "Most Interesting Man in the World" is heading to Delaware County this weekend, where he will sign bottles of tequila for fans. Actor Jonathan Goldsmith, 79, best known as beer brand Dos Equis' "Most Interesting Man in the World," will appear at the Fine Wine & Good Spirits Premium Collection store in Media (1083 W. Baltimore Pike) on Saturday at 4 p.m. He will sign purchased bottles of Astral Tequila Blanco, which will be available to sample for fans aged 21 and older. Goldsmith is a partner in the tequila brand. Goldsmith's acting career spans 50 years, and features 500 film and television credits. His appearances include roles in Dallas, Dynasty, Gunsmoke, Hawaii Five-O, and Murder, She Wrote, as well as parts in John Wayne and Clint Eastwood films The Shootist and Hang 'Em High. He began working with Dos Equis in 2006 as part of the company's "Most Interesting Man in the World" campaign, which featured outlandish statements about Goldsmith's character, such as "His personality is so magnetic, he is unable to carry credit cards." Goldsmith held the role until 2016, when his final commercial for the company sent his character to Mars. Goldsmith was later replaced as the "Most Interesting Man in the World" by French actor Augustin Legrand. Dos Equis retired its "Most Interesting Man in the Wold" campaign earlier this year. "It feels like I've had a wonderful, wonderful journey with this. I feel like it was successful and I made a good contribution. I thoroughly enjoyed it," Goldsmith told the Hollywood Reporter of leaving the role in 2016. "And one door has shut and 10 open."